Living in New York City can sometimes be overwhelming. With my incurable case of wanderlust, I’m always eager to get away no matter how much I love a place. That’s why when a holiday weekend trip fell through, I immediately hopped on airbnb to figure out where I could go with less time, and for less money. I decided on an impromptu trip to Montreal and brought a friend along for the ride. I was armed with a short list of “fancy schmancy” restaurants and waited until my last full day in the city to choose. Not on purpose, mind you. The list was just that good. I settled on a place that seemed to have mastered the gin cocktail while my uber driver suggested another place on my list. We pulled up only to see that the restaurant I wanted to go to was closed, so we ended up at the drivers recommendation, La Lavanderia. 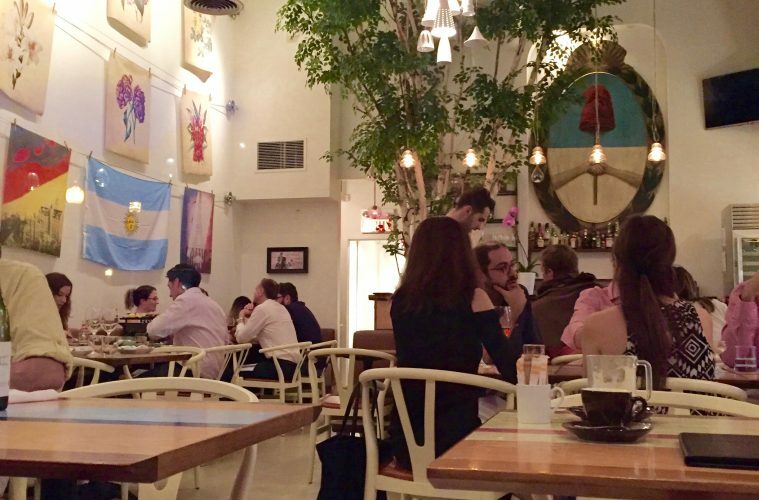 He gave us the background of the owner and the run down of the Argentinian fare we could expect such as platters of grilled meats and seafood. No one platter looked the same, so I can only assume that it was up to the chef to determine what was going on the grill at a moments notice. It was now time to order up and the way my appetite was set up, I was more concerned about a delicious cocktail more than anything else. 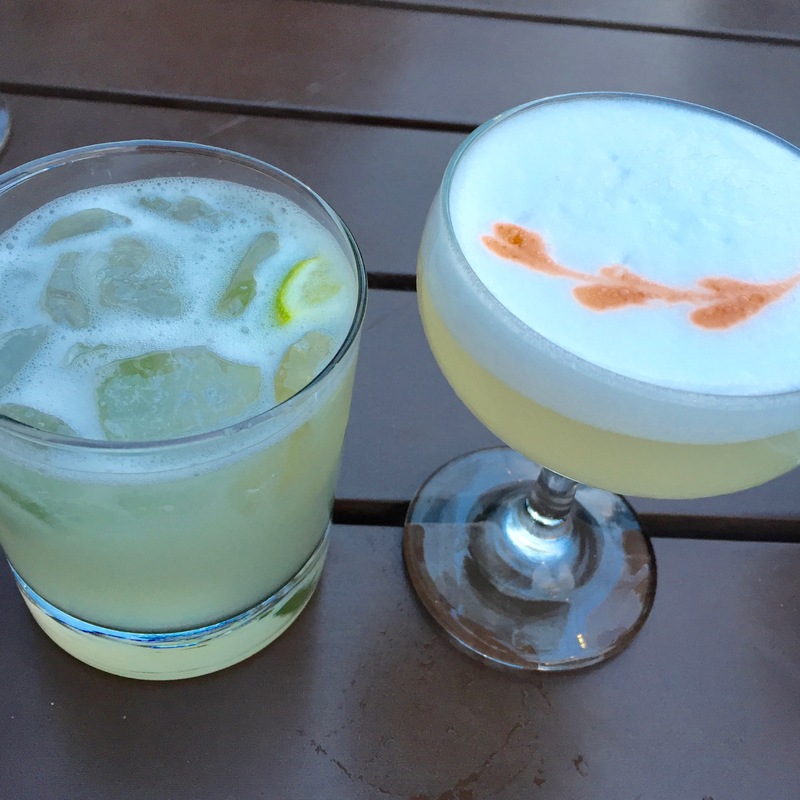 One Caipirinha and one Pisco Sour, por favor. Instead of the entrees, my stomach was set on a couple appetizers instead. 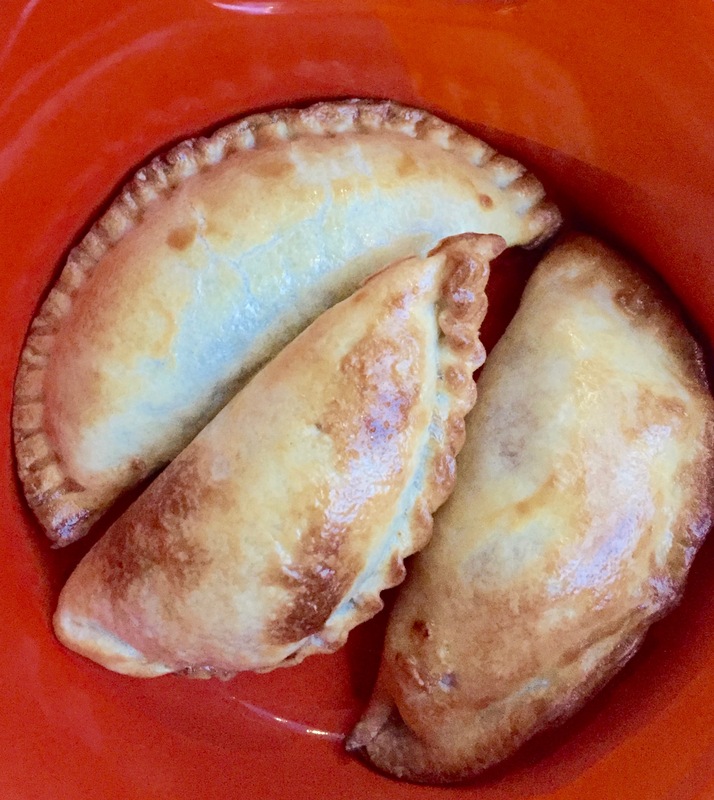 I ordered the empanadas thinking that I’d have three of the same, however, empanadas come in threes and they are all different flavors: ham and cheese, spinach, and beef. I wanted the beef but was shocked that I thought the ham and cheese was the most delicious. Dare I say it reminded me of a hot pocket? Well, that’s what it was. I also decided to go for another favorite of mine, ceviche. It was served with plantain chips, which I thought was a delightful spin on the normal tortilla chips usually served with ceviche. 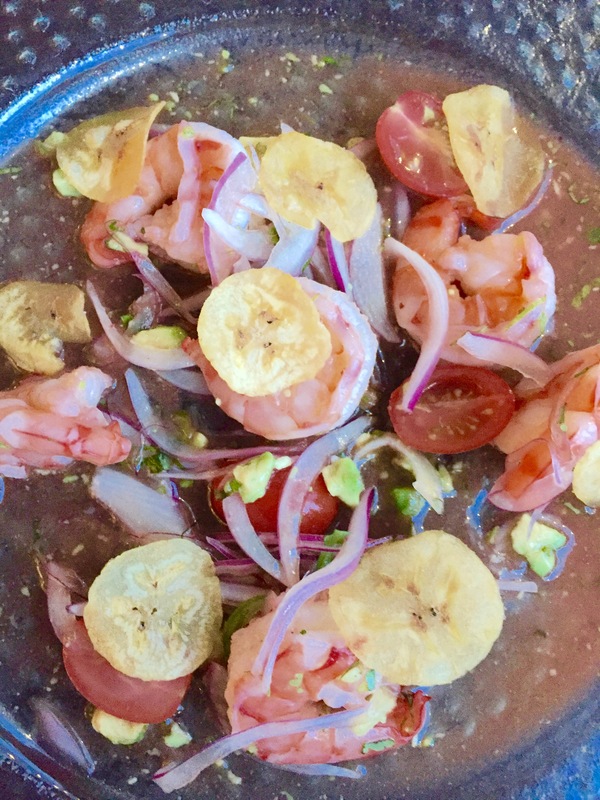 The presentation in addition to the preparation of the ceviche was strange if nothing else. I was expecting a bowl of chopped seafood and citrusy deliciousness, but I got a plate of…interesting goodness. Don’t get me wrong, it wasn’t bad, it was just too far outside the box for me. 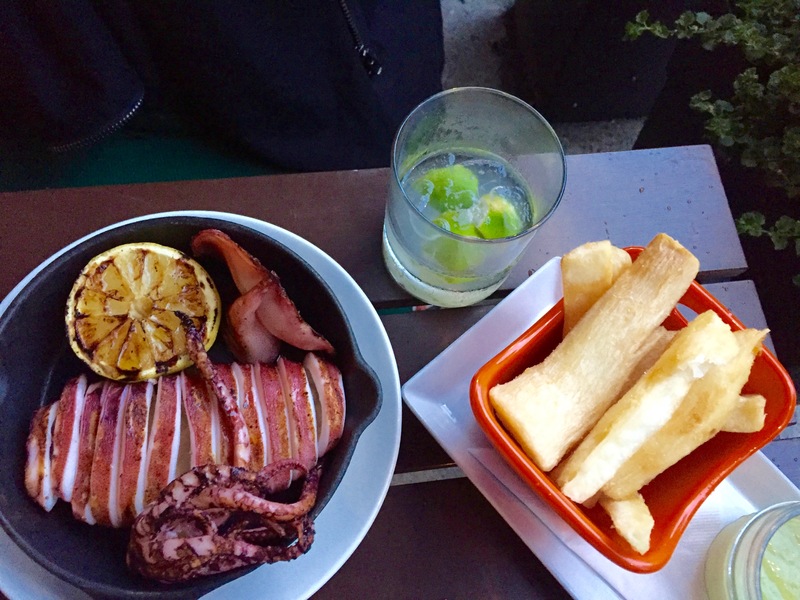 My friend on the other hand ordered up some calamari and yuca fries and the presentation was definitely better. While she loved the fries, the calamari she thought she would definitely love, was not her favorite part of the night. All in all I should have known that fancy, plus my palette, equals a mediocre experience. It’s a shame I wasn’t, nor will I ever, be in the mood for an entire platter of meat. I’m sure I would’ve loved La Lavandaria and plan to return my next time in Montreal. The highlight of my experience was finding out that my second drink, red sangria, would be comped because every time the waiter asked how our drinks were, we gave a “so so” head gesture and said “they’re okay.” Believe it or not, I’m eager to return to Montreal just to visit the restaurant next door that happens to be owned by the same person. Sushi is always the safest choice.